USANA, word! : Are there healthy energy drinks? Since the 1990's energy drinks have become more and more a regular drink on the scene. A lot of people drink them during the day at work, to stay alert, after work for sustained energy to work out. Or before they go out in the evening, or while they're out at a party. You either really like these energy drinks or you don't. They're quite sweetish flavoured, and it feels like you're drinking liquid Hubba Bubba chewing gum. Not everybody likes that taste and it does become a little bit overwhelming after a while. Energy drinks usually contain all sorts of seemingly exotic ingredients, originating from a country you can't even find on the map, and the label on the can or bottle usually promises that you'll be boostin' with energy in no time. But really, what are energy drinks? Officially an energy drink is a beverage that contains some form of legal stimulant and/or added vitamins which are meant to give the consumer a short term boost of energy. Do they contain any 'magic' ingredients? No, not really. What they do all contain is a whole lot of sugar and –most of the times- an awful lot of caffeine. These are the 'active ingredients' if you like and kind of make you feel hangover the next day. What kept you 'going' all night long? '- a combined caffeine / sugar rush most likely. You see, the 'thing' with energy drinks is that they are marketed as being all-natural energy boosters, loaded with lots of natural ingredients. As soon as we as consumer see the word 'natural', we behave as a flock of sheep and assume it's healthy. And let's admit it; those energy drinks have the cool logos and fonts, the hip and trendy colour schemes, modern bottle shapes and a really cool 'feel' to it. One of the problems with these energy drinks is however, that you crash-and-burn after a few hours. The sugar / caffeine rush wears off and you will feel like a bag of potatoes. So what do you do? You have another one! Here in New Zealand, Red Bull still leads the way, V is a close second. All over the world energy drinks are usually marketed towards younger crowds, but these crowds seem to be getting younger by the day if you ask me. Why do 14 year old kids go to the dairy on the corner to get a V...because they need a pick me up? And that's concerning because the long-term effects of the energy drink ingredients, if any, are still not known up to this day. Is there a healthier and more weight friendly alternative to these 'pick me ups'? Well actually - yes there is. You can energize with something that is good for you and is a great alternative to crash-and-burn energy drinks. There is an energy drink that doesn't contain artific ial flavours, sweeteners, preservatives or colours. This drink contains more than just sugar and caffeine, and provides vitamins, minerals, and antioxidants to support energy metabolism at the cellular level. What is this drink I'm talking about I hear you say? Well, USANA's Rev3 Energy Surge Pack will keep you going in a healthy responsible and weight- management-friendly way and come on, be honest- isn't the logo, font, colour scheme and 'feel' as cool as the other drinks? I say yes. 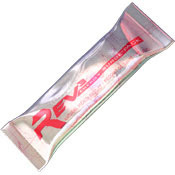 Rev3 Energy is cleaner, smarter, and stronger. Now, I have to tell it to the teenagers heading to the dairy.